High Performance: Offense or defense? When I was a young boy, I played organized football. I was relatively smart, quick and athletic, but small—especially for football. I ended up playing in the defensive backfield as a safety—in a position where I wouldn’t be much of a factor in the game. At least that’s how I saw it. My job was to make sure nothing got past me but it was really up to the players in front of me to make the play. I was simply a backup. As I got older, hockey started to take over as my preferred sport. I played left defense but it was a very different situation. Hockey is a fluid game, rapidly moving back and forth from the offensive zone to the defensive zone. On each shift, everyone plays offense and defense. If any single player makes a mistake, it can be costly. There are no backups on the ice. It’s “game on” for everyone all the time. Many businesses I encounter have clearly committed to an offensive posture, while others are most certainly on the defense. Still others are balanced, like the hockey player moving between offense and defense all the time. Those on offense are seeking aggressive growth, willing to take risks, and accept lower profit margins for a period of time. They may or may not achieve their goals but they’re going for it with gusto. The problem is that sometimes they ignore things that shouldn’t be ignored. Sometimes they miss the obvious because their heads are down or they have blinders on. Moving too quickly, sometimes they crash and burn. We’ve all seen these companies in our markets. Those on the defense are seeking to hold onto what they have. The problem is that, in doing so, they may become overly cautious, even paranoid. They may hold back their people from advancement, causing them to find greener pastures. They may develop atrophy by not making investments in people, technology, or process improvements. We’ve all seen these companies as well. 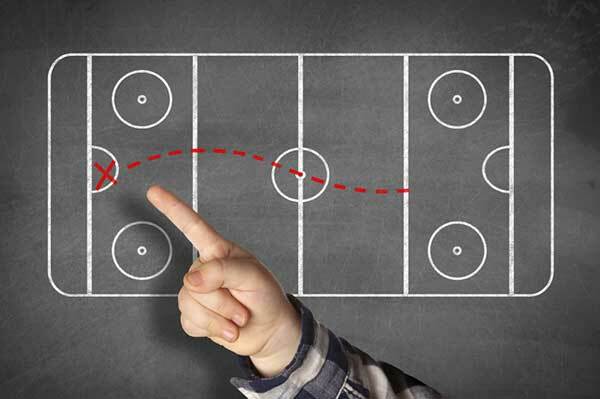 The best-run companies are like the hockey player—playing offense and defense all the time with a balanced approach. They are aggressive but in a controlled manner. They are more strategic in their moves—educated, informed and aware. These are the companies that attract and retain talent—like a magnet—where you or I would love to work. What about you and your company? Are you playing offense, defense or both?